Advertising on Architecture? Now You’re Reaching, Rahmbo. When I was a kid, I read Shel Silverstein’s “Where the Sidewalk Ends.” It was a funny little poem that imagined a place where there’s no more ground under our feet. I’ve often wondered the same about Advertising. When it comes to placement of media in the public domain, where do WE end? Where are our limits? Do we have any limits at all? This is no place for a giant logo. I believe I’ve found that limit, courtesy of Rahm Emanuel’s first real blunder of his administration. To help raise $25 million toward a $600 million budget deficit, the Mayor is now allowing the placement of ads on city property that includes Chicago’s landmark bridges. 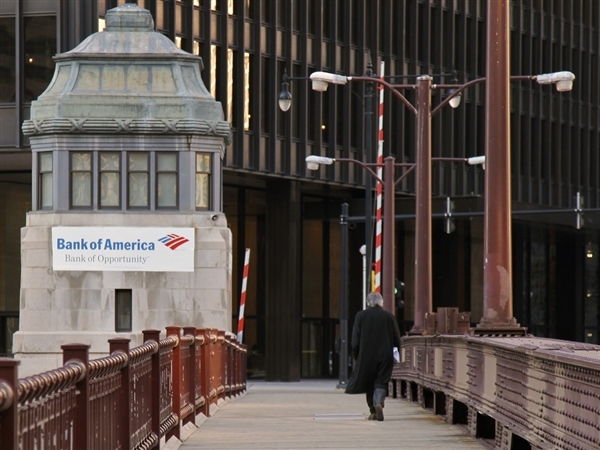 So cross the Wabash Avenue Bridge and you’ll see a giant Bank of America banner on the bridge’s iconic tender house. How I wish this was Photoshopped and not real. I know Emanuel wants to leave his own mark on the city, but this is not the anti-Daley move I had in mind. I seriously doubt our former Mayor, with his continuous intent on beautification projects, would’ve followed this path. City Spokeswoman Kathleen Strand insulted everyone in this city’s intelligence by suggesting putting an ad on an architectural landmark isn’t all that different than the CTA allowing ads on buses and El trains. Oh, Kathy, Kathy, Kathy. Can we talk? You see, dear, I feel silly pointing out the difference, but in your case, apparently I have to. Placing an ad on a public domain that devalues the experience of looking at that property is in poor taste by all parties that put it there. Come on. You and I both know that nobody in their right mind says that. Because, let’s face it – buses, trains and garbage cans are not landmarks we’re going to put in a photo album. When my former college roommate Curtis was visiting this Summer from Indianapolis, what as the first thing he took a picture of? Our bridges. He wouldn’t snap that picture now. Not of the Wabash bridge. No way. First of all, it’s an insult to the bridge you only asked for that much. More importantly, even if Bank of America didn’t think it was the best idea – they’re getting dibs on high visibility property for peanuts at a time when they had to pull back from a $5 monthly debit card fee fiasco. Could you really blame them for taking the Mayor’s offer? There are more creative solutions to trimming a budget deficit. Personally, I thought trimming the City Council would be a good place to start and that would take care of a few million bucks right there. But I’ve also given the Mayor credit for his crowdsourcing effort through his budget site at ChicagoBudget.org. Yet, if the more than 10,000 ideas he got on that site, I just can’t believe that posting advertising on landmarks was one of the big ideas that rose to the top. We’re so much better than this. There’s no doubt we need to close budget gaps and get creative in how we do it. I know $600 million isn’t going to go away. But that shouldn’t mean selling our soul by putting an ad on every available piece of real estate. And this is a veteran of the advertising world talking here, remember. In reality, while B of A got a steal of a deal, it’s not even that great of a branding move. If you’re going to be this visible, send the audience to some place online where they can be part of a community or offer input. A web address? QR code? Anything? No. This is just a logo and tagline that obstructs what was there before and adds nothing. It’s so bad it’s basically a hair above littering, except the regular litter gets to blow away and not bother you too much. Was it worth it? No. Is it worth ending the experiment in landmark advertising right now? You bet. Because at the end of the day, a clear, unblocked view of the architecture is our city’s best advertising. 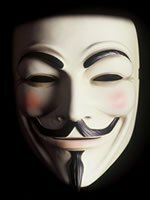 Will Movement Make Banks Remember, Remember the Fifth of November? Perhaps this isn't just the stuff of movies after all. Smaller institutions may leverage outrage behind “Occupy Wall Street” and “Bank Transfer Day” to their advantage if they know how to act instead of analyze. You’d like to think they saw this coming. You’d like to think they wouldn’t be surprised. 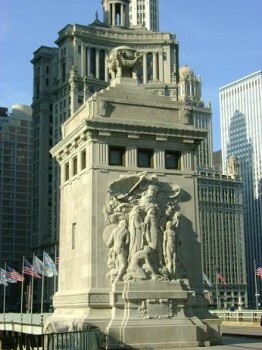 And at the end of the day, I’d expect the biggest banks in America, including Chicago’s, to still be standing tall. Yet the movement known as “Bank Transfer Day” is gaining momentum and it’s important for all of us to note the new speed with how audiences mobilize, no matter where we stand on the issues. For marketers of financial products and those of us who advise them, it represents an opportunity to listen to audiences and pause before considering what to do in the name of getting more money from customers without giving them something in return. Why? Because of this writing, one person is having an impact on what 25,978 people may do toward their bank on November 5th. And that’s just today. What will that number be by November 5th? Organized by Kristen Christian, Bank Transfer Day is imploring people to move their funds from major banking institutions to non-profit credit unions on or by November 5th. The point of doing so is to send a message to the largest banks that there are consequences for unethical business practices. Christian isn’t trying to install anarchy or any more economic instability than what’s already in place. Christian is a 27-year-old who has banked at Bank of America, both personally and professionally. But she found her breaking point when B of A charged bank fee after bank fee. When she called into the bank because the site was down, she was charged two dollars. When she took her mother to brunch, her mother wound up paying for it because Christian’s account was frozen for three days due to suspicious activity – without any communication from B of A. Many people who bank with institutions like this have a similar customer service story to tell. The more of them there are, the easier it is for groups to mobilize. Is there a lesson for smaller banks and others in the financial industry in positioning themselves in this “recovering” economy? Absolutely. If you raise a fee, there could be consequences beyond a few angry letters and posts online. What Occupy Wall Street and now Bank Transfer Day are showing institutions of all sizes is that there is a very real emotional limit to bank fees. On the basic level, there is anger and frustration, where people throw their hands up in the air and say, “This is ridiculous and stupid. But what are you going to do?” Then they ask each other what they want for dinner. Then there’s another layer where you’re ticked off enough to withdraw your account in favor of another institution. Well, this is actually the point beyond that. What we’re witnessing is a new point where people are withdrawing accounts and organizing in order to bring like-minded people with them to send a clear message. And I don’t believe it’s going to end on November 5th either. Regardless of politics, people are making a grave mistake by marginalizing these types of movements (right and left, mind you), because in a world where it’s not about size of crowd but how well the message is distributed through channels such as social media, a great deal of impact can be made one way or another on a brand. True, the world won’t pay as much attention to a couple people with signs. But I think we can all agree Occupy Wall Street has been greater than that. 25,978 people who sign up for Bank Transfer Day via its Facebook Page is greater than that. The story has the potential to spread far beyond the physical location (if we learned nothing from the uprisings in Egypt). I wonder how many community banks are having that conversation within their walls. Because they should. Now. People are literally taking to the streets and to the web in anger directed primarily at your competitors. And you won’t address that raw emotion because you want to stay above the fray? Because you won’t talk directly about what’s going on in a financial industry where trust is being eroded and what you want to do to fix it? Mistake. Huge mistake. Lost opportunity. In fact, the issue doesn’t even have to be about how large or small the bank is but rather what it believes in opposition to its counterparts getting hammered in the media and conveying that differentiation clearly. It’s possible some people who said “I’m attending” Bank Transfer Day won’t ultimately transfer funds from one bank to another. But the larger picture here is that they want to show solidarity and identification with a group against large bank brands. That matters. That’s probably true. But I’ll go out on a limb and say any company that takes a “who cares what they think” attitude toward their own customers as long as their numbers are good won’t be doing wonders for their long-term brand perception. What are your thoughts? Do movements like Occupy Wall Street and Bank Transfer Day change your feeling toward your financial institution? Or does it have little effect on how you view it? If you’re in the industry and feel comfortable commenting, what are your thoughts as well?